Are Precious Metals Still ‘Precious’? Here's why precious metals should not be used as "safe money" in a client's portfolio, according to Ron DeLegge. The year 2015 will do down as another year in which stubborn gold bugs were wrong again. And the shameful scare tactics employed by bullion peddlers along with their hyper-aggressive predictions of gold at $5,000 per ounce and beyond, are grossly untruthful about the real-time trend in precious metals prices. The ETFS Precious Metals Basket Shares (GLTR), which owns gold, silver, platinum, and palladium is down almost 14% year-to-date and is badly underperforming virtually all major asset classes like U.S. and developed market stocks, U.S. Treasuries (IEF), global real estate (RWO) and cash. The SPDR Gold Shares (GLD), the globe’s largest ETF with more than $22 billion in assets, has lost 37% since its August 2011 peak. During that same period the SPDR S&P 500 ETF (SPY) has gained 63% and the Vanguard Total U.S. Bond Market ETF (BND) is almost flat. To say that precious metals have been dead money is an understatement. And with gold now on the verge of breaking below $1,000 per ounce – a threshold that would take it back to 2009 levels – another episode of fierce selling could easily kick in once Wall Street’s algorithms get fired up. 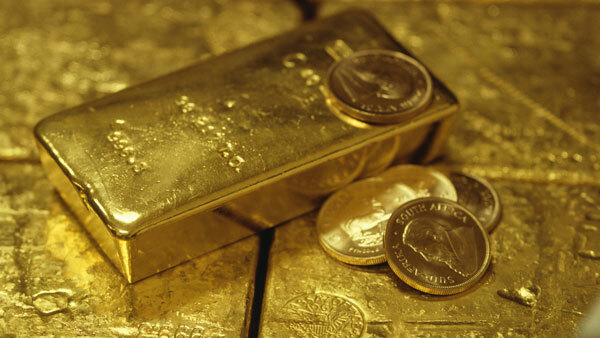 Should precious metals still be used as the “safe money” portion of a client’s investments? From a portfolio construction viewpoint, this popular view is a fundamental mistake. Why? Because price fluctuations and the potential for market losses make precious metals an unsuitable choice for the “safe haven” portion of a person’s portfolio. In contrast, only assets that guarantee principal or don’t lose market value should be used for the safe money portion of a person’s investments. Will the threat of higher interest rates in the future be more bad news for precious metals? Not necessarily. Contrary to the conventional wisdom that metals go down when rates rise, historical data proves otherwise. During the 11 periods of rising yields for 10-year U.S. Treasuries from 1976 to 2013, gold actually recorded a median gain of 5.2%. In other words, the narrative that rising rates are automatically bad for gold prices isn’t necessarily true. What remains unknown is whether gold will follow its historical tendency to rise alongside rising interest rates. Do you have clients or prospects with exposure to precious metals? If so, now is a good time to do year-end portfolio reviews to make sure these holdings are still compatible with their investment goals. In some cases, a retiree or person nearing retirement may have inadvertently decided to make precious metals a disproportionately large portion of their portfolio’s total asset mix. Since their investment objective has likely shifted to away from capital growth (or even speculation) to income generation mode, reducing exposure to gold and silver – assets that generate zero cash flow income – should be a priority. Investors who own exchange-traded products tied to gold and silver bullion, selling covered call options could be one way to convert these dead assets into income generating vehicles. It also might be a less invasive way to reduce a customer’s exposure to metals, should the underlying shares get called away at a higher price thus triggering a sale. Finally, use the crash in precious metals as a talking point for new prospects. Help them to fix investment problems they may have encountered by over-estimating the “precious” part of investing in metals. There’s Gold in Them Thar Hills. And Art. And Condos.